Winter tyres perform differently to your usual car tyres as they are designed to work better in lower temperatures, giving you notably improved grip when standard tyres start to struggle. The ability to stop quickly is imperative. Compared to regular tyres, stopping distances are markedly improved when using winter tyres in low temperatures. 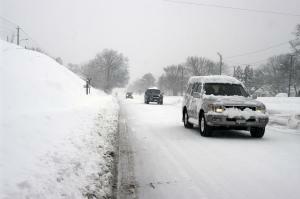 Fitting winter tyres is common in many countries in Europe, and in some EU countries it is even a legal requirement. In the UK it is recommended to change to winter tyres during the winter months, typically October through to to April, and as the weather in the UK becomes more extreme the benefits of fitting winter tyres will only increase. Click here to see what our customers say about winter tyres. Winter tyres have a different rubber compound made from natural rubber which does not harden at lower temperatures. A regular tyre loses its flexibility when the temperature falls below +7 degrees centigrade, therefore grip is significantly reduced. The surface of a winter tyre is very different from a standard tyre. The grooves in the tread are deeper and tread blocks are covered with sipes- jagged small slits- enabling as much grip as possible. Yes! Stopping distances are markedly improved when using winter tyres in low temperatures, wet conditions and even in the snow. The ability to stop quicker is vital. *From a speed of 30mph on a snow covered road a vehicle fitted with winter tyres will stop at 35 metres. A vehicle fitted with normal tyres will take 43 metres to stop. That's a difference of 8 metres. That's 2 car lengths! Winter tyres grip the road better, and drivers will notice the benefit of this in colder weather, particularly in icy or snowy conditions and even heavy rain. Where do I store my standard tyres? 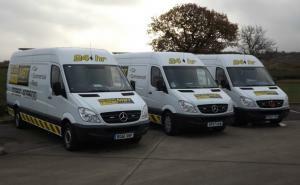 We can store your tyres securely and refit them to your vehicle at a time and location to suit you. Ask us today to see how we can help you! "I have a 4 wheel drive car and had pooh-poohed the winter tyres in the past. However, once we had the proper tyres for winter, I was amazed at the comfort, stability and performance of the car in adverse conditions. Paul, Squib and the team are excellent in their care and prices. I am delighted we found them." "Before, snow of more than 2 inches or so made the hilly road where I live impossible to drive on, but with winter wheels on my car I can get out and get to work. And top service, Thanks!" "Start to finish great service, impressed with the winter tyres and normal ones looked after properly, even rung to remind me to change back when weather was better..!" Call us today to find out more about our winter tyres range! Only travel when essential, when possible wait until conditions improve. Be prepared- pack a kit containing essentials such as water, food, blankets or warm clothing, torch etc and keep this in the car, just in case! Plan ahead- allow extra time for your journey, use major roads when possible (these are more likely to have been cleared of snow and gritted) and check traffic reports/ weather forecast. When scraping snow off the windscreen and windows, clear snow off the roof to avoid snow falling onto the windscreen and obscuring your view. Check your lights and number plate are clear too. Gently reduce your speed on slippery surfaces, and avoid any sudden braking, acceleration or steering. Always make sure you can stop within the distance you can see to be clear. In icy conditions allow up to 10 times the normal braking distance, especially on motorways. For more guidance on driving in winter and extreme conditions click here to check out RoSPA's road safety advice.